The election of Igor Dodon 'gives even bigger clear hope' for fixing the cooperation with Russia. The results of the presidential elections in Bulgaria and in Moldova give hope for improvement of those countries’ relations with Russia, head of the parliament’s lower house international committee Leonid Slutsky told a news conference on Nov. 14. "Bulgaria’s president-elect, who always has been for equal and effective relations with Russia, first of all in the economic sphere, I believe, most likely will move the policies of official Sofia towards a constructive approach to Russian-Bulgarian relations," said Slutsky. As for Moldova, he continued, the election of Igor Dodon "gives even bigger clear hope" for fixing cooperation with Russia. "He [Dodon] clearly and persistently is for Moldova joining the Eurasian Economic Union, for improvement of relations with Russia," he said. "I believe he will make quick and persistent steps towards the development of mutual relations with Russia." Rumen Radev won the Bulgarian elections with 59.08 percent of the vote. The president-elect told his first news conference he hopes for "a deep dialogue with Russia." 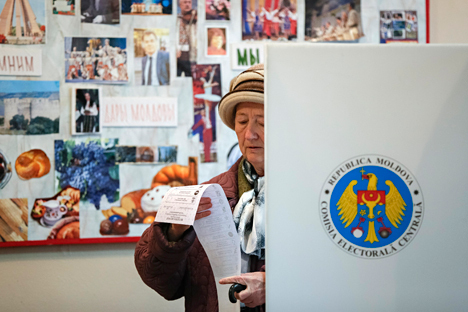 In Moldova, with 99.9 percent of the ballots counted, Dodon has won 835,010 votes, which is 52.25 percent. He is leader of the Party of Socialists, which is for rapprochement with Russia.